I think it might have been the way the sunlight reflected off the water under the talking statue, or perhaps the glimpse of the Spanish Steps still visible in the distance, or maybe it was just the time of day and the people around me. 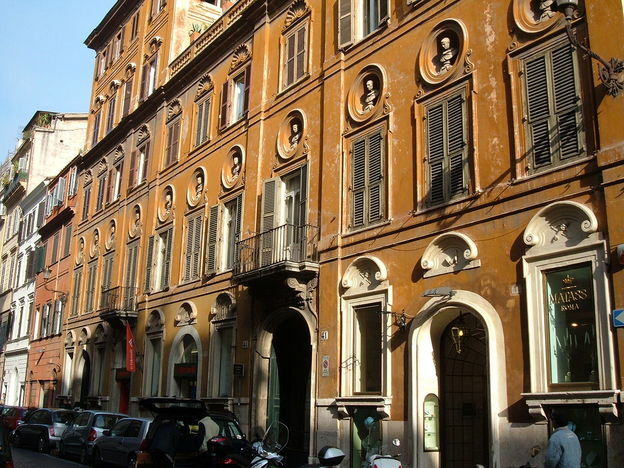 But whatever it was, the Via del Babuino is my favourite street in Rome and will always have a place in my heart. Now that is some feat, after all this is Rome, the Eternal City; the city with a seemingly never ending supply of beautiful piazzas, fountains and streets. 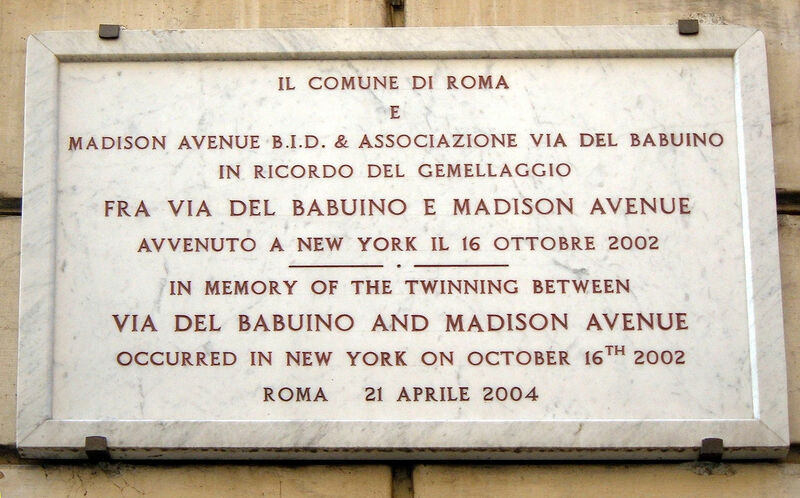 I could have picked the famous Via Condotti or even the Via Veneto, let alone picking a street named after a baboon of all things, but for me Via Babuino is a snapshot of everything that Rome has to offer. To begin with there is glorious history here. The famous Spanish Steps lie at one end and at the other, the Piazza del Poppolo, one of Rome’s grandest piazzas and the very heart of the city in the 19th century. It’s from here that Via del Babuino together with Via del Corso, and Via di Ripetta form The Tridente, the name given to the three most important streets in Rome at that time. 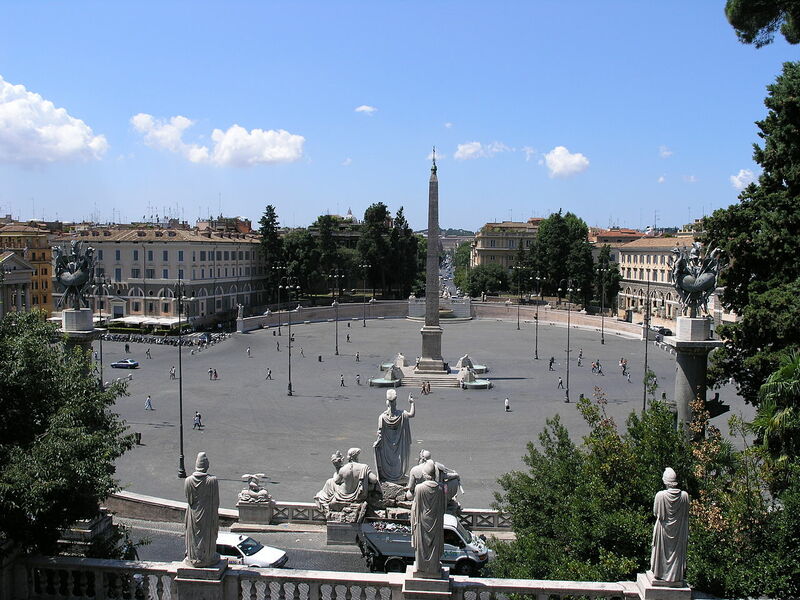 Then there is of course, the ‘Babuino’ itself, one Rome’s famous six talking statues and why the street got its name. 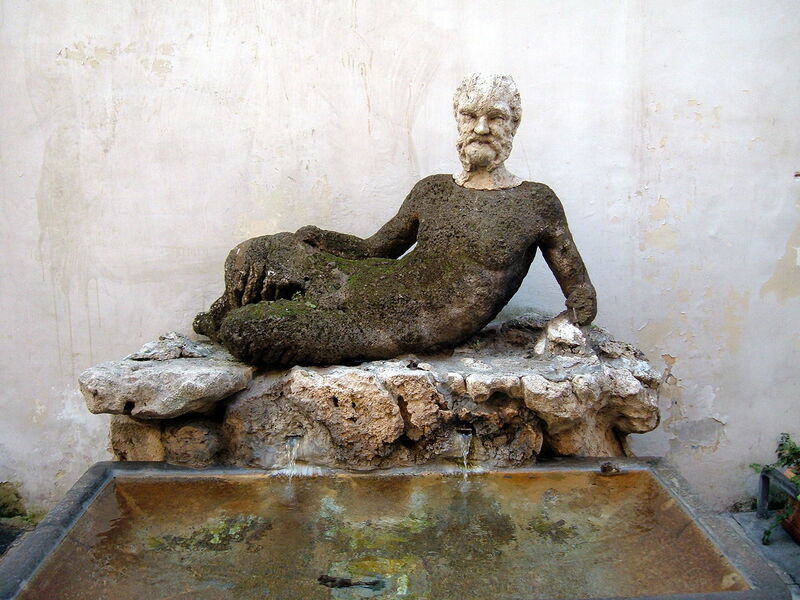 The ancient talking statues of Rome were so called because in the 15th century the citizens of Rome, denied free speech, used them to display anonymous political messages criticizing the papal government. You’ll find the statue half way down the street right beside the Greek church Chiesa di S. Atanasio dei Greci and it was called ‘ baboon’ simply because it depicted a mythological half man half goat creature and was thought so ugly and deformed by the locals that they nicknamed it ‘Babuino’ and so the name stuck. While you’re here, don’t miss the Canova Tadolini Museum which is the former studio of the neo-Classical sculptor Antonio Canova and Adamo Tadolini. Beautiful sculptures abound all around and there is a lovely restaurant here too, so you can enjoy good food among all the exhibits on show. 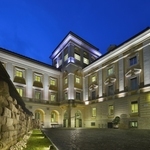 So, with history and shopping covered, you’ll need a place to rest up, and there can be no shame in staying at the magnificent Rocco Forte Hotel de Russie one of Rome’s finest five star properties.You must check out its stunning terraced ‘secret garden’ hidden away behind the street, where you can also dine alfresco at “Le Jardin de Russie” . 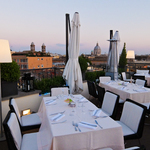 Whilst we’re on the subject of dining, right at the top of the street at the Piazza Popolo is Dal Bolognese, one of Rome’s most famous restaurants and the place where people go to see and be seen. So among some great competition The Baboon is my most favourite street in Rome and always will be, so try it yourself and you never know you just might just fall in love with it too.